Unibridge®is certified to carry a wide range of commercial and industrial vehicles including all normal traffic load vehicles. If used as a temporary bridge it can be provided with a steel deck with anti-skid system which allows the bridge to be opened to traffic in a matter of hours after the erection of the superstructure. The equipment is robust and is capable of numerous erection and dismantling cycles. The same bridge can therefore be deployed to other potential sites without affecting the performance of the bridge. 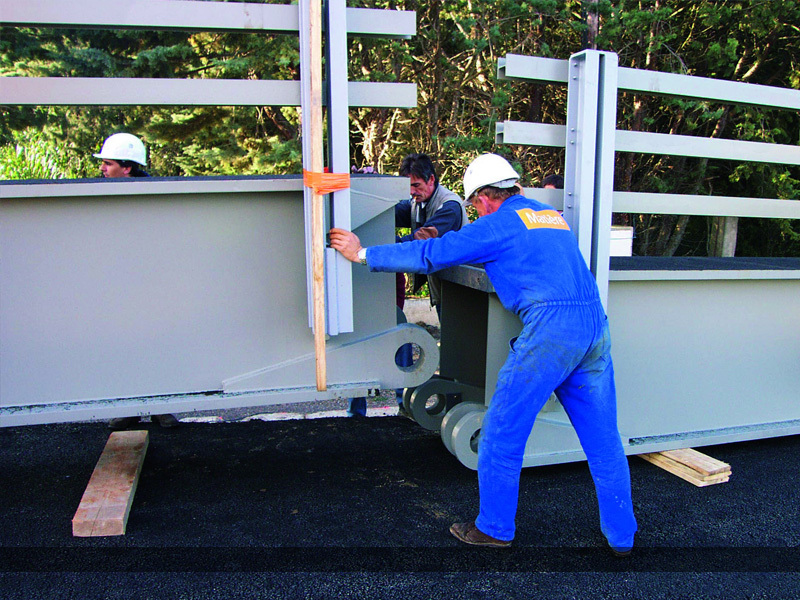 The bridge can be safety built using a minimal erection team, typically 4 people are required in addition to a site supervisor and using mechanical handling equipment.